Dr. Azizzadeh is the co-director of the Facial Plastic & Reconstructive Surgery Fellowship Program at Keck School of Medicine at the University of Southern California. The Facial Plastic & Reconstructive Surgery Fellowship Program is widely respected in the medical community and accepts only the top post-graduate surgeons. The program aims to further educate surgeons in the highly specialized field of facial plastic surgery. 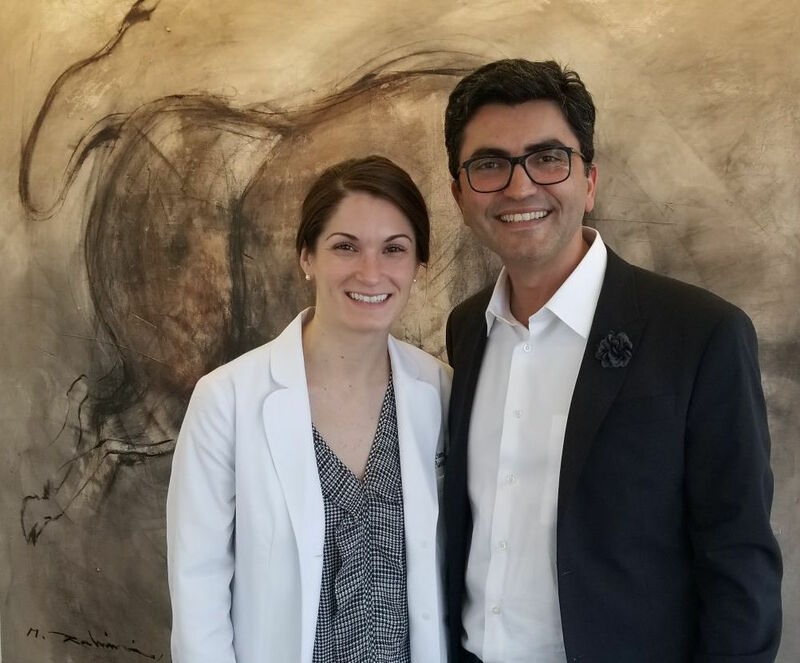 Prior to becoming an Associate Fellow for Dr. Azizzadeh, our fellowship candidates have graduated from medical school and have completed an intensive residency in Head & Neck Surgery. As such, our Associate Fellow, has already undergone extensive surgical training, and has joined the program to receive advanced training in facial plastic surgery skills and techniques from acclaimed surgeon, Dr. Azizzadeh. Dr. Julia Frisenda is the 2017 – 2018 Associate Fellow to Dr. Babak Azizzadeh at the CENTER for Advanced Facial Plastic Surgery in Beverly Hills. Dr. Frisenda attended a combined baccalaureate/Doctor of Medicine program at the University of Missouri-Kansas City. She was the student representative on several committees including the Honor Council and the Council on Evaluation. She completed her rigorous residency training in Otolaryngology – Head & Neck Surgery at the University of Illinois at Chicago, where she served as chief resident during her final year of training. Dr. Frisenda is currently the fellow representative to the Advisory Board for Facial Plastic Surgery Clinics of North America. Furthermore, Dr. Frisenda has a passion international outreach and has volunteered on several medical trips. In addition to her love of medicine, Dr. Frisenda enjoys traveling, reading, and running. During her fellowship with Dr. Azizzadeh, Dr. Frisenda will assist Dr. Azizzadeh in every area of his practice. From participating in clinical research projects to evaluating patients both pre- and post-operatively to performing surgery, Dr. Frisenda plays an integral role in each patient’s surgical journey at the CENTER.